As you’re planning to launch your first advertising campaign, you might be considering your choice of advertising platforms. Where should you advertise? Is Facebook a good option? Yes, Facebook is a good option. Here’s why. Facebook has over 1.4 billion users worldwide with 90 million visitors each day. 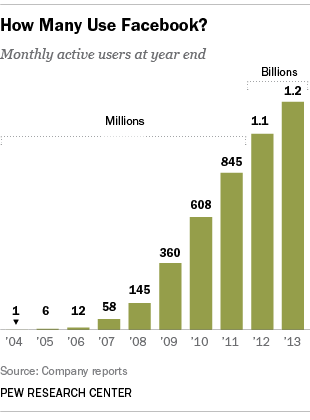 Not only does Facebook have a large audience, it also has the highest user activity. Currently, Facebook is the most popular social media website. Data from Pew Research Center shows that 70% of U.S. Facebook users access the site daily and 43% of the 70% access it multiple times a day. Additionally, 82% of 18-29 year-olds are active Facebook users.Thus, advertising on Facebook means higher chances of reaching your desired audience. With behavioral targeting, Facebook can target users’ real life behaviors. For example, how many credit cards users own, what type of credit cards users own, whether or not a user is a home owner, what type of stores users visit. Behavioral targeting allows advertisers to target users who will likely be more interested in their products based on their behaviors. Compared to Google AdWords, Facebook ads are inexpensive. In fact, Facebook allows advertisers to control their own budget. Advertisers can choose the total amount they want to spend on an ad and decide how long they want it to remain active. Facebook only shows ads to users who are more likely to take action. Thus, for a reasonable amount, businesses are more likely to reach more audiences, and consequently, more likely to receive conversions. Audience Insights Tool allows advertisers to know their audience so they can generate content relevant to their audience. Facebook gives advertisers information about their audience’s geography, lifestyle, demographics, and purchase behavior. This can include age, job title, and relationship status. Currently, most people use mobile phones to access Facebook. When Facebook reported its earnings on July 27, it reported that out of its $6.2 billion ad revenues, $5.2 came from mobile devices. These numbers show that Facebook can reach users who are away from their laptops and desktops. Facebook can advertise through the Facebook app, Instagram (owned by Facebook), and soon, as rumors have it, the Facebook messenger app. This allows you to advertise to specific Facebook users who have interacted with your website. Additionally, you can add your audience through email addresses, phone numbers, or Facebook user IDs. Lookalikes allows advertisers to expand their audience from their custom (or ideal) audience. Facebook generates a lookalike audience by scanning through advertisers’ custom audience, using an algorithm. Facebook then expands the audience by targeting those possessing similarities with the custom audience. Facebook allows advertisers to advertise through the mobile news feed, the desktop news feed, and the side bar. Advertisers can also advertise through the audience network, a network of mobile apps that allow Facebook to advertise through their apps. You can also advertise on Instagram. Facebook allows advertisers to test one ad against anothe: they can test against different copies, images, audience demographics, and target. For example, advertisers can test male Target shoppers versus females Target shoppers. A/B testing allows advertisers to improve and perfect their creative so they can yield better results. Lead ads are ads that provide a quick and easy way to sign up for more information. They often include a call-to-action button that says “subscribe” or “sign up.” Once your potential customers have clicked the button, they will be redirected to a mobile friendly form that automatically fills in the information they provided on Facebook. Lead ads are beneficial because they accommodate users who are often busy and on the go. Not only does it allow users to type less, but it also provides businesses accurate, actionable information. Most importantly, it allows businesses to connect with an audience that are most interested in their products or services. 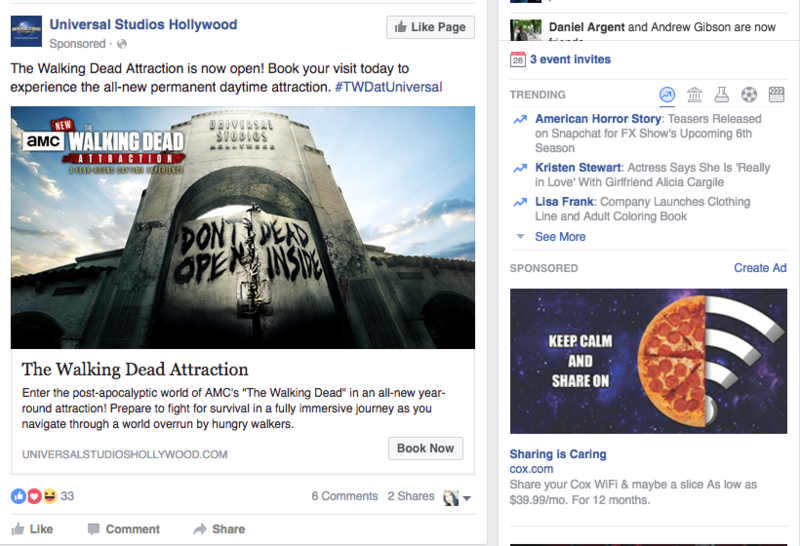 So if you’re wondering where you should advertise, consider starting your advertising campaign on Facebook. However, managing Facebook ads can be time consuming and stressful. AdvertiseMint offers services not only on Facebook advertising but also on Snapchat advertising and Instagram advertising. If you contact us now, your Facebook ads will be in good hands. What Should You Look for When Hiring a Facebook Ad Agency? 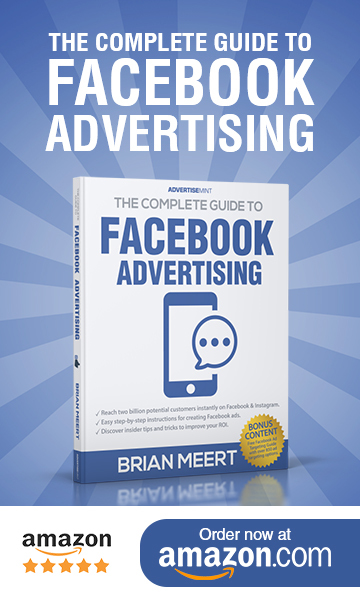 Was this How To article about Facebook advertising informative? Leave your thoughts on the comments section below!